This is a Catalogue only. Nothing is for sale from these pages. It is purely to help guide you to better collecting. 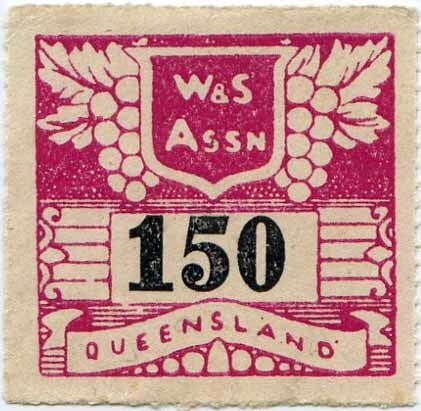 To ensure compliance with the rules at the end of each financial year the member was required to make a Statutory Declaration as to his sales over the year. 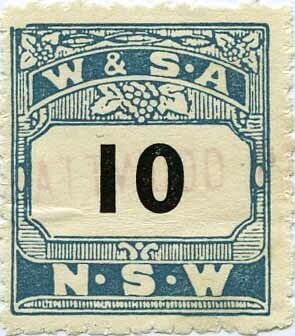 Similar applied to all other States other than Tasmania. 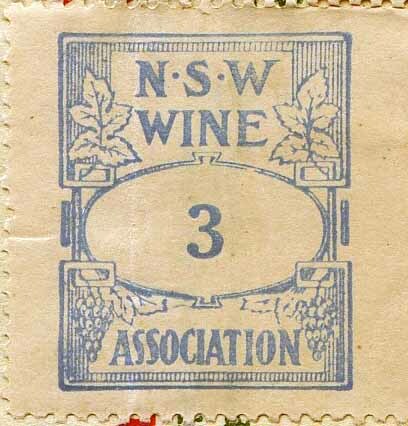 One such occasion on 1st September 1928 the whole of the Liquor Industry joined together when a referendum was to be held on whether NSW citizens wanted their state to stay “WET” or go “DRY”. 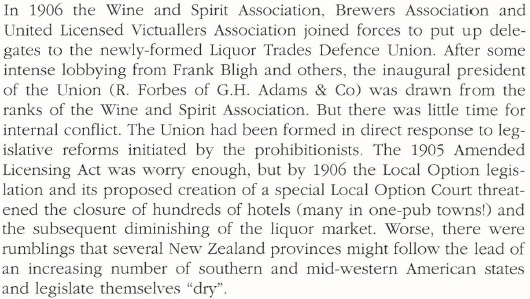 Needless to say the Referendum resulted in a landslide against prohibition. 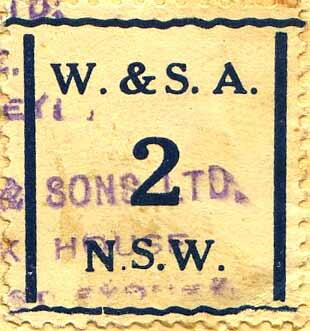 On the same day in 1928 the ACT citizens voted to make the ACT “WET” which then paved the way for legislation to allow for the widespread introduction of liquor into Canberra. 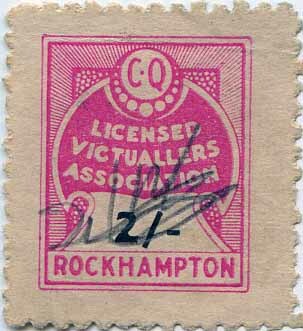 No dated listing has been published to date, most work has been conjecture due to the lack of dated copies or complete documents. 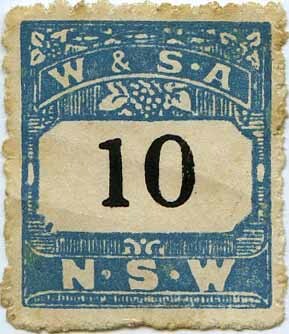 Other works list NSW as perf 11�, i have not seen one in this perf all my copies perf out at 11. 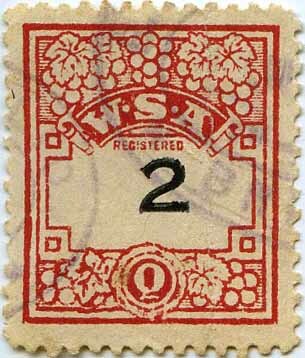 First Issue c1927. 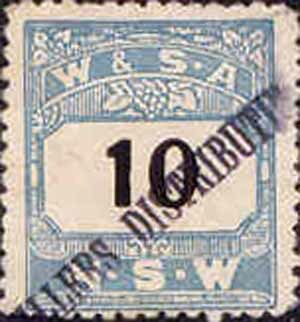 Perf 11 no wmk. 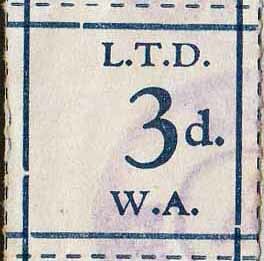 Central figure represents 1d in £1 invoiced and was a secondary printing. 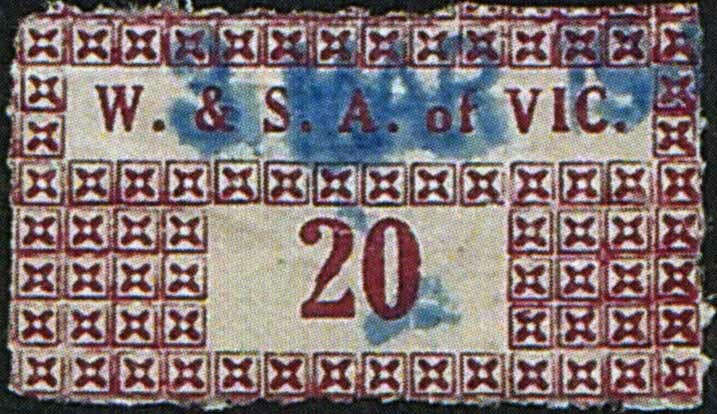 All Scarce except 10. 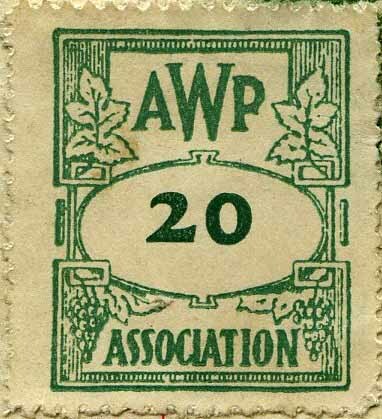 First Issue c1928. Rouletted no wmk. Bi-Colour. 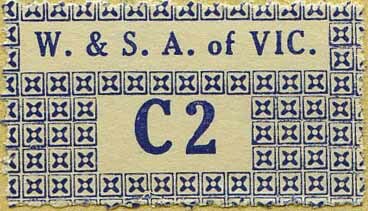 Central figure represents ½d in £1 or part thereof invoiced for Brandy. Whisky was exempt. 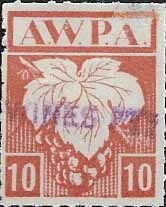 Second Issue cApril 1951. Rouletted no wmk. 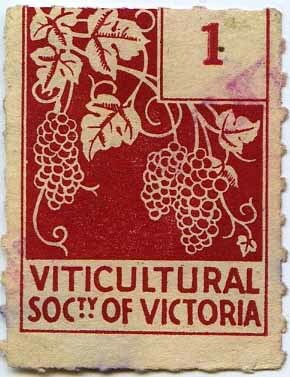 First Issue 24 July 1935. Perf 10� no wmk. 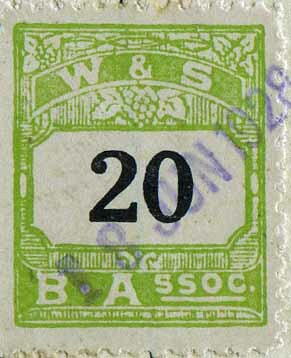 Central figure represents a 2d in £1 for spirits and �d in �1 for wine invoiced. 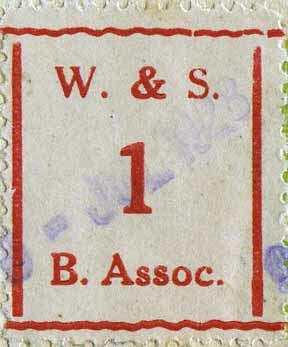 The stamps were sold for cash only from the office of the Association and the printer of the stamps was Thornquest Press. 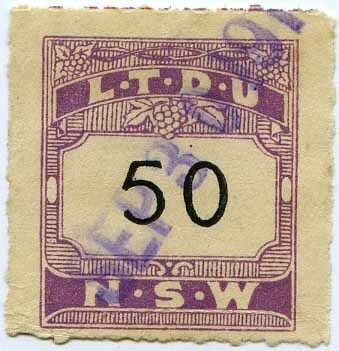 The use of these stamps may have ceased with the change to decimal currency. 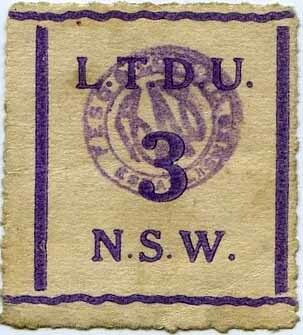 The use of these stamps may have ceased with the change to decimal currency. 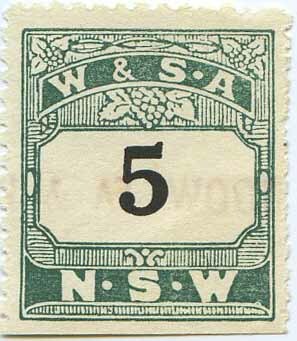 It is possible the different colours represented an Australian State as all my green's are attached to cut outs from Brisbane. Jerry Austin for: SA �2 roulette. 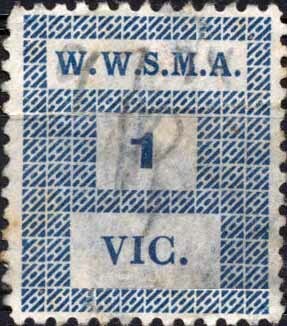 Don Catterall for blue & lake colours of the AWPA, WWSMA of Vic graphic & pink/black W&WA of NSW. Robin Linke for the LTD of WA graphic. 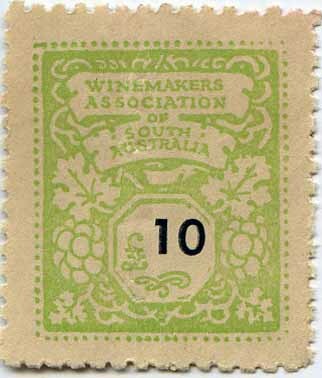 Dingle Smith for �100 W&SMA of SA. 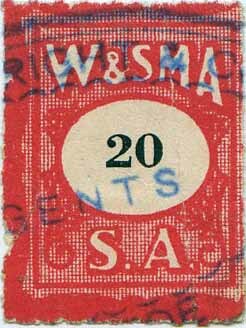 Tony Presgrave for W&SMA of SA, date of issue, rates and printer.